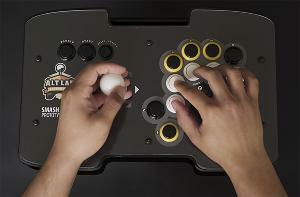 Prize: The Smash Stick is an arcade stick with an analog joystick and ergonomic design that works on your PC, Nintendo 64, GameCub﻿e, Wii, Wii-U, and Switch. Statistics: This contest was opened by 150 and entered by 7 ContestChest.com members. 5% of those who opened the contest, entered it.